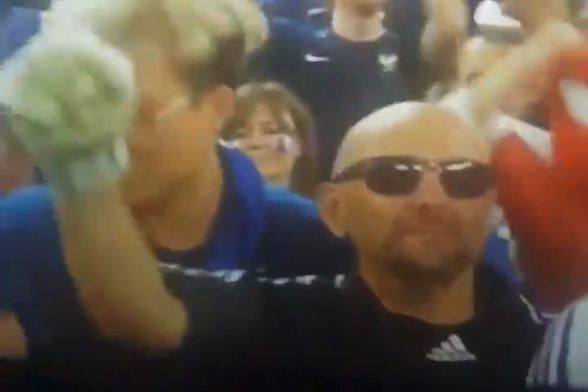 A Fabien Barthez lookalike was spotted in the stands with the France supporters watching their World Cup semi-final win over Belgium from the front row of the Saint Petersburg Stadium on Wednesday night. The well-known French goalkeeper, now 47, who had spells with Toulouse, Marseille, Monaco, Manchester United and Nantes as well as the national team, was instantly recognisable to fans viewing the television coverage. The doppelgänger completed his look with goalkeeping gloves and a pair of sunglasses.